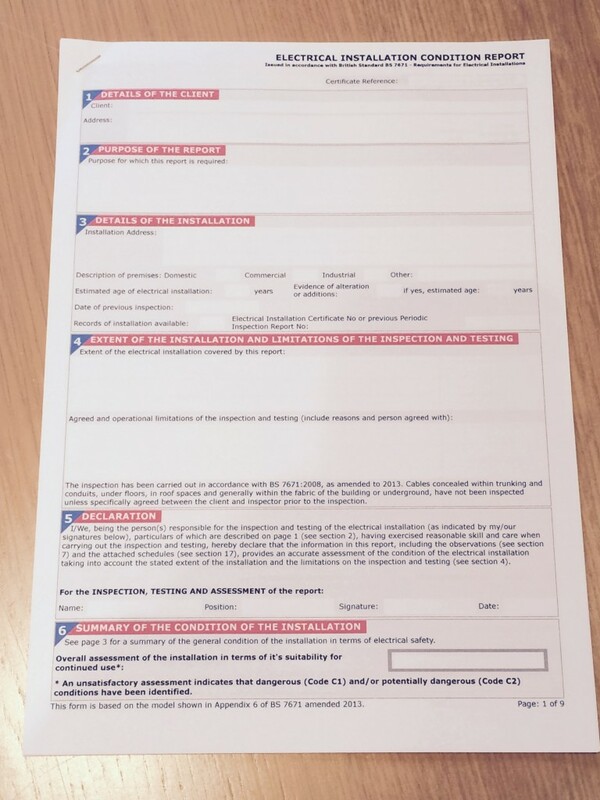 Why have an Electrical Condition Report carried out? 1) Buying a home. Advised by your mortgage building surveyor report or solicitor. 2) Selling a home. Advised by your estate agent/solicitor. 3) Considering a rewire but not sure how much needs rewiring. 4) If the property is of considerable age and you are concerned. 5) Property damaged after Fire or Flood. 6) If you are a Landlord. Insurance & Regulation Requirements. 7) Major alteration work is planned and it is considered beneficial to know the condition of the existing electrics. What is a Domestic Electrical Condition Report? This is a survey of the electrical installation within a home the results of which are recorded on a standard report. The surveyor visually inspects the fuse board and various circuits and tests using specialist calibrated test equipment. 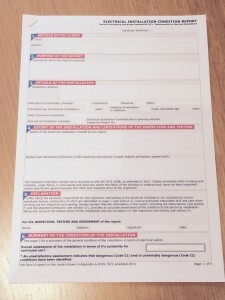 The survey is a standard report and is carried out in accordance with British Standard requirement BS7671. A sample of visual inspections are made behind sockets and switches and various test readings taken. The main purpose an Electrical Condition Report is to detect so far as is reasonably practicable, and to report on, any factors impairing or likely to impair the safety of an electrical installation. This depends on the size of the property. Most reports for homes are completed same day and if the property is small this can be as little as 3 hours. What access do you need around the property? Part of the survey is to visually check a sample of sockets, switches, lights and it is usually necessary to have access to all rooms in the property to do this. Will the power need to go off? During the inspection and testing it is necessary to turn the power on and off at various stages of the inspection. We generally email the reports because this saves time for all concerned however we can post if you prefer. Will you provide a quote for repairs? We provide a free of charge written quote for any repairs identified. Click here for example of Electrical Condition Survey carried out previously.